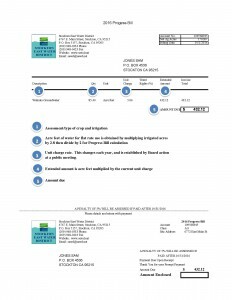 Please view the links below of the Stockton East Water District’s Owner’s Water Use Statement, Progress Bill, and Final Bill. Billing for Surface Water and Groundwater is done so in accordance with the District Act which can be viewed here. Should you have any questions, please contact our Finance Department staff Rhonda Luke-Olvera for Accounts Receivable for assistance at (209) 444-3112. 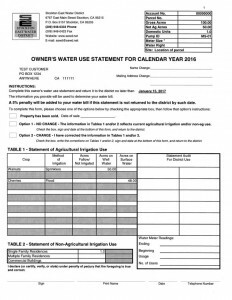 This document is mailed out with the Progress Bill, to be completed by the owner or irrigator and returned to the District by January 15th. Please click on the District Ordinance to see the most current water rates. The Progress Bill is mailed out on the last day of September of each year. 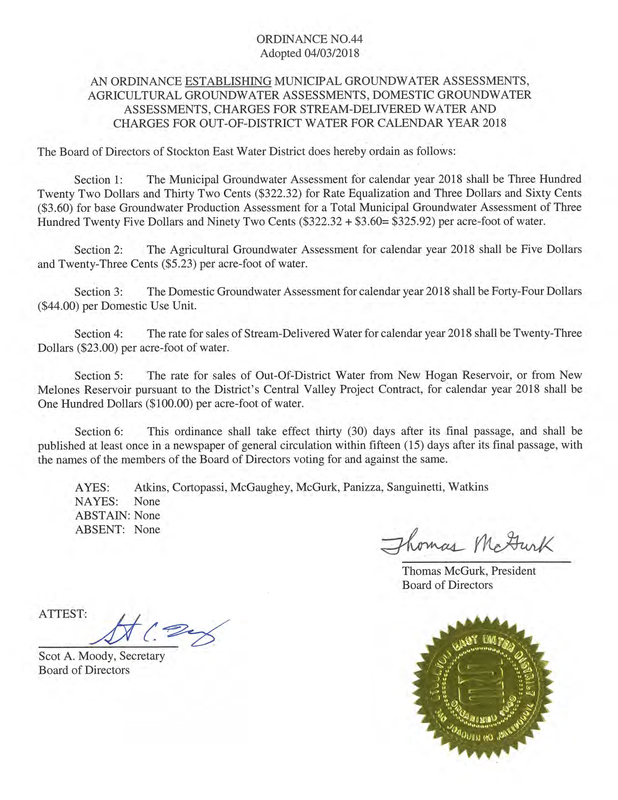 The current water rates can be viewed in Ordinance No. 43 above. 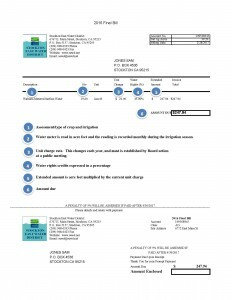 The Final Bill is mailed out on the last day of February of each year. The current water rates can be viewed in Ordinance No. 43 above.